The Wii's controller has proven to be both the console's greatest strength and weakness. Its intuitive, unintimidating design has brought gaming to the masses, yet a lack of precision has prevented it from fulfilling its potential. It is versatile enough to adapt to any genre or game from any era, yet in order to achieve such adaptability, compromises have had to be made in comfort (holding the remote sideways for a NES-style pad) and inputs (many developers have struggled with the lack of buttons for more complex modern games). 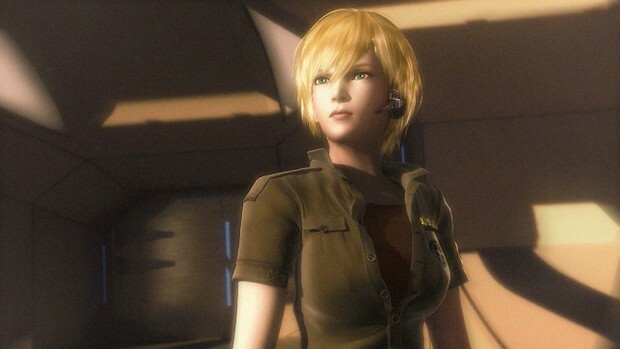 In that context, the Wii might be the perfect parent for Metroid: Other M. Like the console, it's a game that does many things well, but none perfectly, whose attempts at innovation are hampered by a lack of careful application. Other M never feels like it knows what type of game it wants to be. 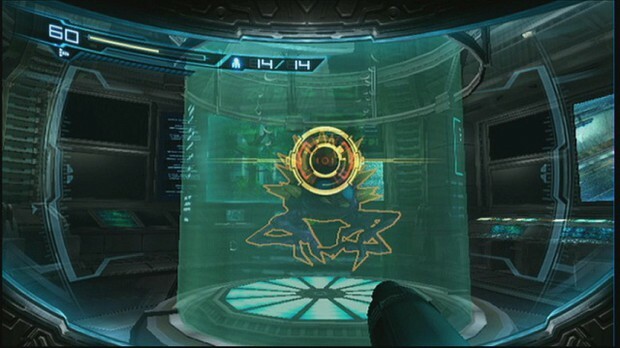 In design terms, it's a more faithful adaptation of the 2D Metroid style of play than Retro Studio's FPS reinvention (though both feature similarly excellent, eerie soundtracks that draw from the series' old-school musical cues), yet the Prime games' popularity is reflected in the import of a first-person view. 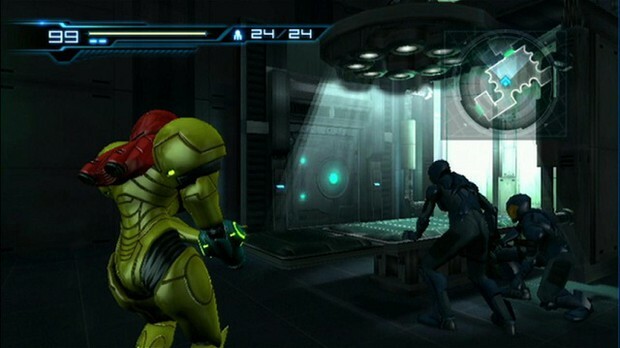 Team Ninja's brawler pedigree is reflected in a significantly enhanced combat system, incorporating dodges and finishing moves into Samus' traditionally limited hand-to-hand repertoire. These additions are effective upgrades to the Metroid move-set, bringing to its battles the modern appetite for visceral thrills and a tactical edge. Switching to the first-person missile launcher can deal significant damage, yet the lock-on delay and lack of mobility means timing has to be exact, with the new 'concentration' method of recharging Samus' missile supply and health similarly dependant on good timing rather than pick-ups. Turning the remote from sideways to facing the screen is a little jumpy, but quickly becomes second nature. Unfortunately, the controls work considerably less well outside combat arenas. Swapping between first and third person views is a neat idea (despite up-close examination revealing limited texturing and chunky environment models beneath the shiny surface), but not one worth enduring the imprecisions of three-dimensional D-Pad navigation for. It's far from a disaster, but every time Samus refuses to aim or jump exactly where you want her to, it's an immersion-breaking reminder of the superiority of analogue control. The moments when the game forces you into first-person mode to pick out some barely-visible pixel for 'investigation', an obvious concession to the game's lack of scanning, are mercifully few but infuriating each time they occur. For a game so keen on making the series more intense and fast-paced, it's an incomprehensible addition. Despite not being an especially long game, the early chapters are burdened by this kind of filler material. Mini-bosses seem to occupy every second room early-on and quickly become tedious, lacking in any significant challenge but taking a frustrating amount of time to overcome until Samus accesses more powerful equipment. Worst of all is how these detract from the occasion of the main boss battles, whose array of fearsome behemoths provide the game's finest moments and demand genuine mastery of the combat system and its nuances. Unfortunately, the decision to rewrite the Metroid formula for dispensing upgrades means that few of these boss battles end with any reward or satisfaction. The infamous 'authorisation' gimmick is unfortunately no less clunky than the rest of the story, which offers nothing but melodrama for the first half of the game, followed by reams of exposition later on to compensate for needing to cover considerable material in limited time. Despite the noticeable similarities to Metroid Fusion's narrative, the truth behind the dormant 'Bottle Ship' space-station and Commander Adam Malkovich's terse relationship with Samus contains some potentially interesting material, if only it were paced and handled better. Given that the bulk of Samus' quest is spent in isolated exploration, the sporadic appearances of the mostly forgettable cast (only Adam and the excellent Anthony Higgs make any lasting impression) never fit easily into the wider experience. Samus is a good choice to become the first Nintendo character with a proper back-story, but not if it contradicts the icy bad-assery that has made the character so popular. Team Ninja clearly felt that Samus needed some personal turmoil to make her interesting, yet failed to recognise that exploring the roots of her unemotional personality could have been the cornerstone of an even more affecting character study. Would it not have worked better if Samus' history with Adam had been what turned her into the cold killer we know, rather than inventing unsuitable characteristics for the sake of 'exploring' them? Aran is distinctive among videogame females for not being a caricature, yet her Other M Zero Suit shows a dispiriting case of the Miranda Lawson splits and Team Ninja-fied breasts. In their attempts to give the character depth, the developers have only managed to push her into clich�. The main story, exploring what happened on the Bottle Ship prior to Samus and the Galactic Federation forces' arrival and who sent the distress signal that attracted their attention, is predictable but interesting enough and leaves some interesting threads open for future storylines in the Metroid universe. The only problem is that almost all the key events occur in the later hours of the game. It's no coincidence that the game's final act is its strongest, because a narrative impotus finally emerges to push the player forward towards unravelling the mystery. If there's one big misstep, it's the involvement of Metroids, which get uncomfortably shoehorned into the story for the sake of justifying the title. Such are the dangers of naming your series after secondary characters, as The Legend of Zelda writers seem to have also discovered. Metroids are only involved in gameplay once in the full ten-hour experience, thrown last minute into an important battle which they make fiddly and frustrating. In a way, it's strangely appropriate: Other M seems to be constantly pushing to take the series into new territory, yet is too afraid to break tradition to really come into its own. The Metroid formula, with its exhilarating boss battles and rewarding scavenger hunts for items, is strong enough that any game which gets those fundamental elements right is going to be enjoyable. 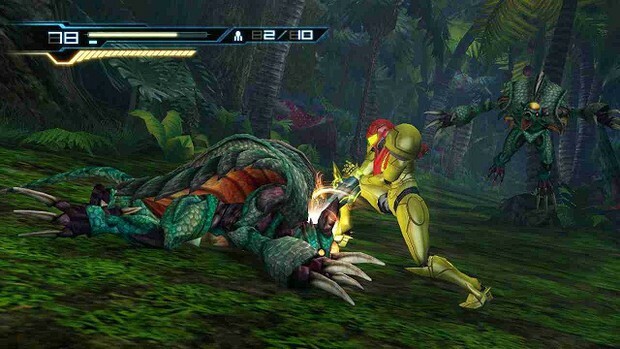 Other M hits those marks and brings in an exciting combat system of its own, but in attempting to refocus the series towards a more narrative-driven experience and rewrite Samus' character, Team Ninja take aim at too many targets to give any of them the attention they need. Like its protagonist, Other M is too burdened with self-doubt to make an impression on its own terms, ending up neither Other nor M enough.